Drawings by Ogbeide Imahe; circa mid-nineties; biro on drawing paper. The first was copied from a newspaper clipping from a Nigerian newspaper. 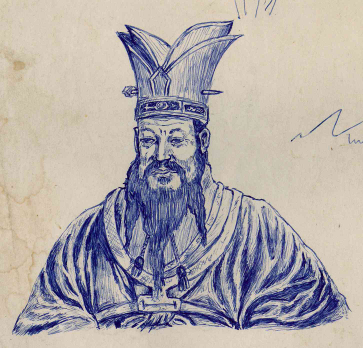 The picture of Confucius was drawn from some textbook, I don’t remember which. This entry was posted in Art and Aesthetics and tagged art, Beethoven, Confucius, drawings. Bookmark the permalink.